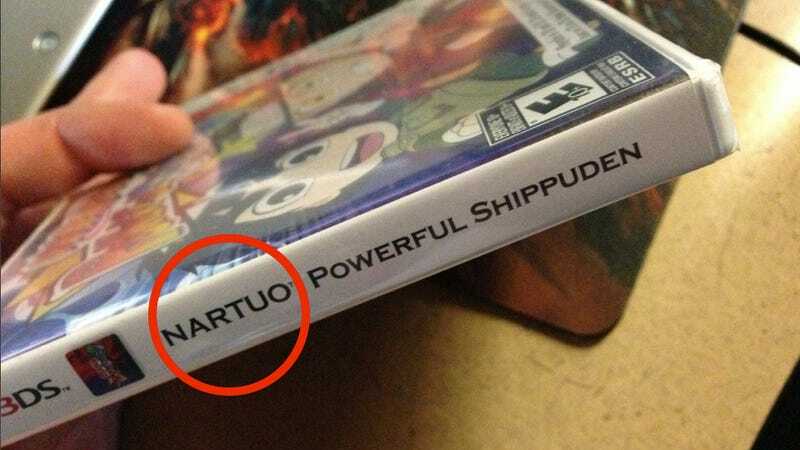 You Had One Job, and You Screwed Up "Naruto"
It's "Naruto". Not "Nartuo". N-A-R-U-T-O. Naruto. This was noticed earlier this week by Rich at IGN, and as far as embarrassing box art misspellings go, "Nartuo" tops Resident Evil: Revelaitons Revelations. Someone at Namco Bandai had one job to do! Only one! At least they got "Shippuden" right. And "Powerful," for that matter. Namco is aware of the issue, and told Nintendo Everything that the error will be corrected in future printings. You can also download a replacement label.